The day started at 4:44am. That’s what it said on the beside clock when the Call to Prayer wailed out in the dark. 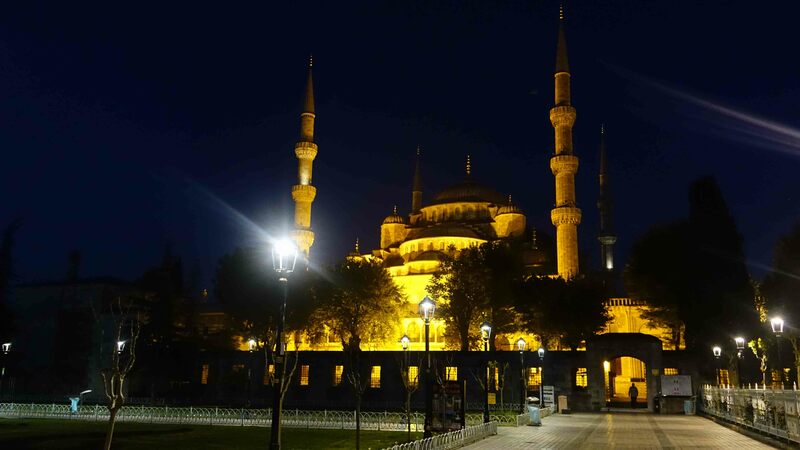 The hotel we’re staying in is just around the corner from one of the most famous Islamic mosques in the world – the Blue Mosque. I wanted to film at the mosque at the dawn prayer time, so somehow I coerced my wife to get up and join me. She did a pretty good job at pretending she was awake for the next two hours, until the sun came up and she got a coffee. Visitors hours didn’t start till 8:30am, but the pre-dawn prayers were in session at 5am, so I walked in. The security guard gave me a nod of approval, and I began filming. There was only a small group of worshippers at that time of the morning, and after they’d finished their service, which was eerie and mesmerising, they then left. 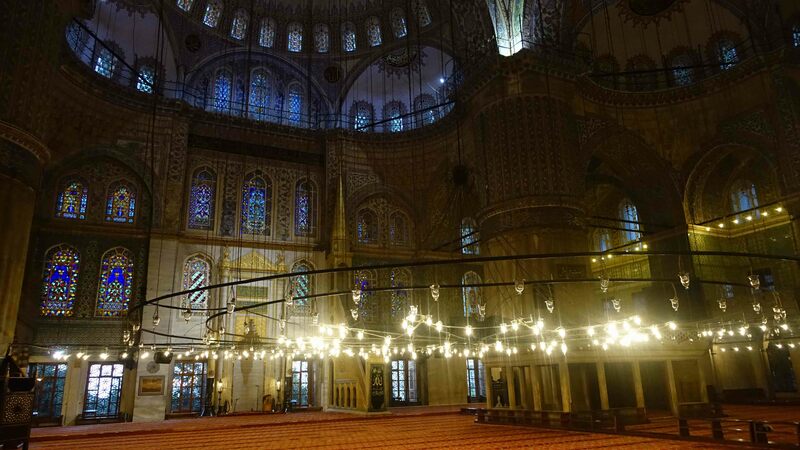 I had the entire Blue Mosque all to my self. I completed the filming I wanted to do, then sought out a coffee place to resuscitate my wife, who would have passed an audition for The Walking Dead. We had breakfast, had a twenty minute kip, then went out on what turned out to be a 10km walk around Istanbul. We were scammed by a shoe shine guy – see earlier post – and two taxis, so decided to walk everywhere. Got back with less than an hour to spare before having to go out to film a ceremony organised by a religious group that follows the philosophies and teachings of the ancient mystic and poet, Rumi. 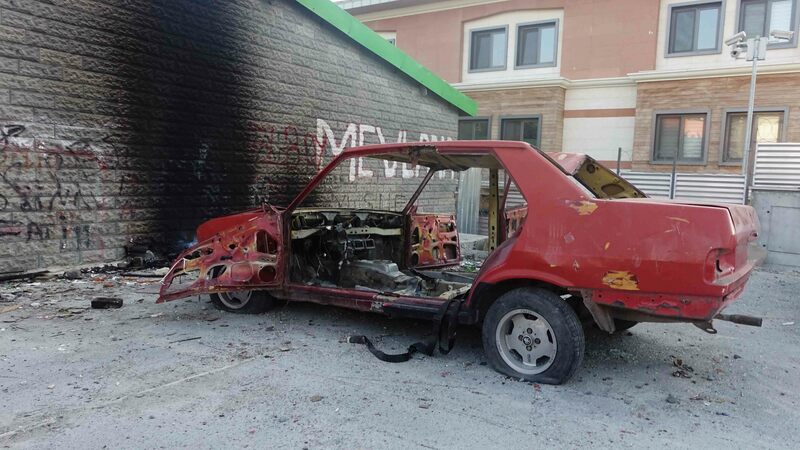 We had to drive to the outskirts of Istanbul, to a hall in a rough part of town. 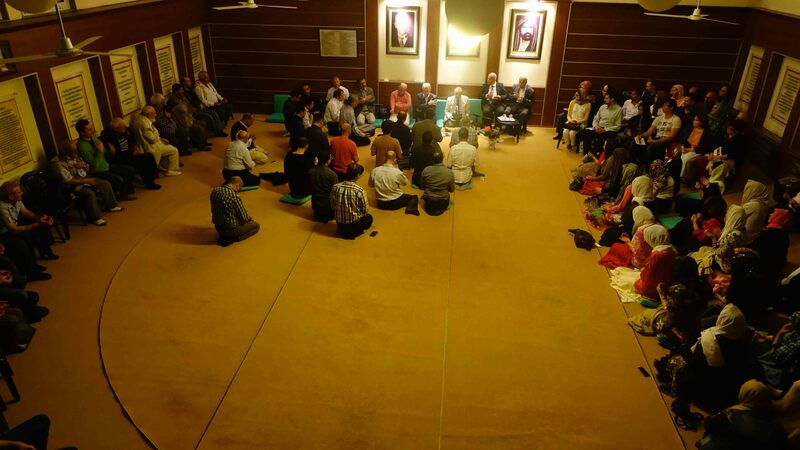 For ninety minutes one of the venerated scholars of the group talked about Rumi’s teachings, about the importance of the individual mind – and not blindly following ill informed doctrine. After the address there was then fifteen minutes of the most amazing chanting, and then the Whirling Dervishes walked in. By this stage there must have been about 250 people in the hall, who’d come to watch. The Dervishes began their ritual – it’s not a dance, it is a very disciplined religious ceremony – and I found it to be completely mesmerising. I filmed a terrific sequence. This was not some tourist event by the way, this was the real deal. Those who were in attendance were worshippers and followers of Rumi. We were the only blow-ins. 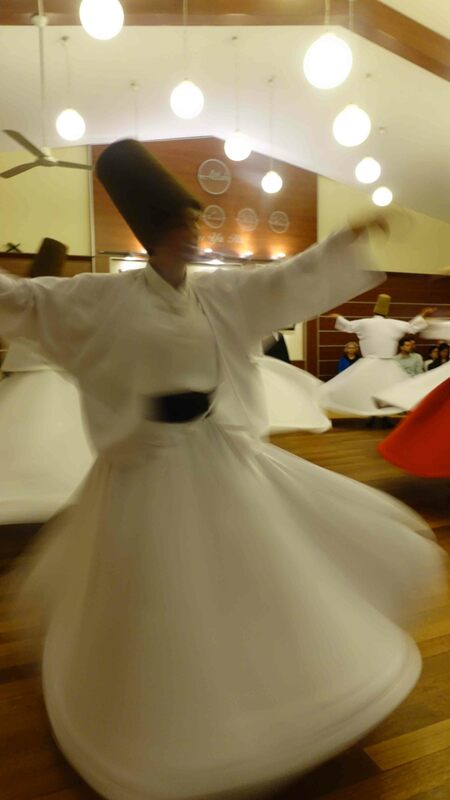 I will write a separate blog about the Whirling Dervishes – what they do, and the significance of it all – in another post in a few days. 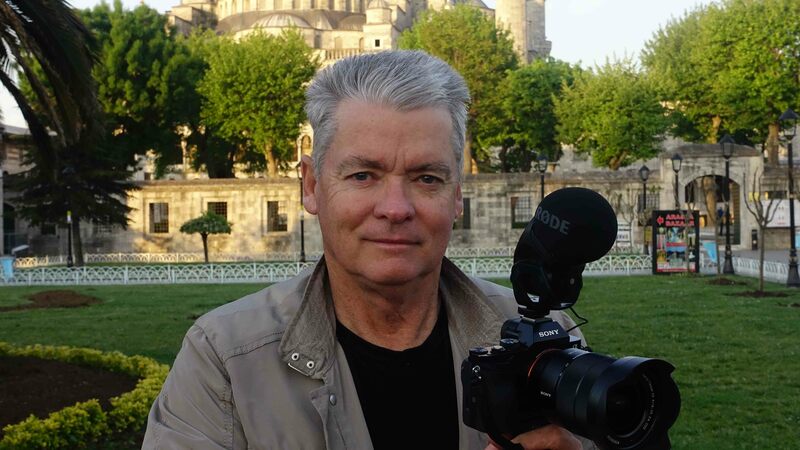 Tomorrow I interview a descendant of Rumi, a woman who keeps his philosophies and teachings alive in this modern world – and then we fly to Konya, the spiritual heart of Turkey – the headquarters for Sufis, the mystic tradition of Islam. It’s going to be a busy few days coming up! Thanks Jill. It was amazing to be there last night. Wow! You continue to amaze me at the places you are able to get into and the interviews you are able to get. I’m with Jen 4:44 AM is way too early. In fact 6:44 Am is still too early. What time do we get up in India? Pretty rough few weeks for you Bill, if it’s not a call to prayer, it’s church bells! 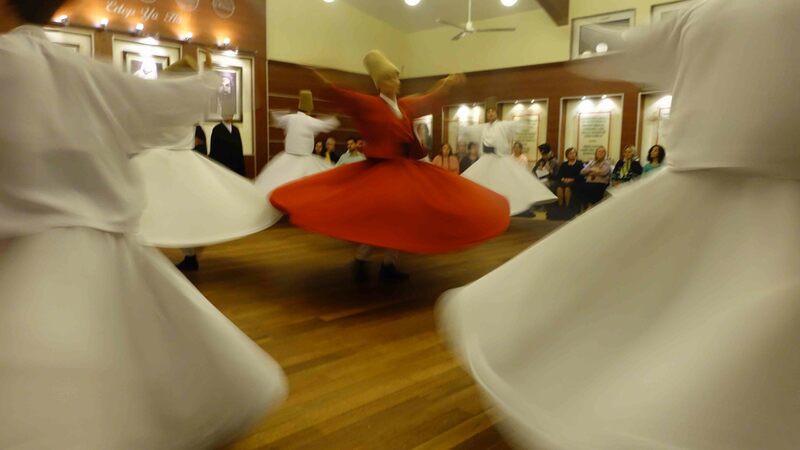 WOW that is so fascinating would love to see the dervishes. I don’t know how you are keeping up, but thanks for the photos and sharing. Thanks Kathryn. Didn’t finish blog last night till 1am! and early start again this morning! Yikes, will have to catch up my zzzzs this weekend! 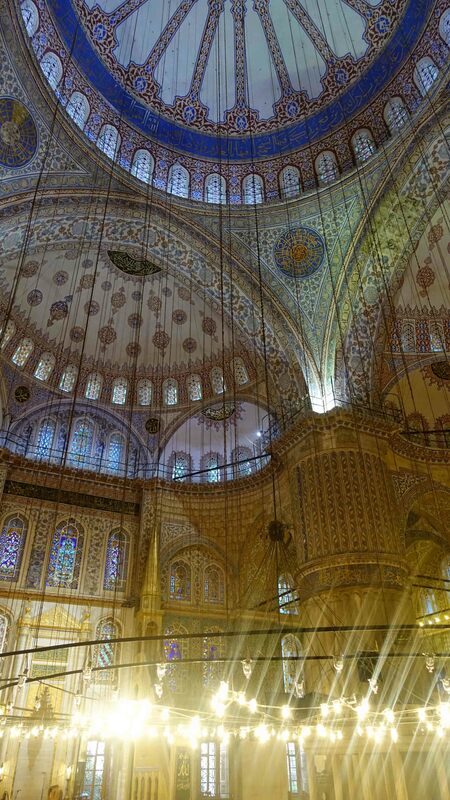 Wow Bill – what a terrific post and stunning photos … the one in the Blue Mosque with the rays from the lights and the light coming in from the stained-glass windows is wonderful. Seeing the dervishes would have been such a significant experience – I look forward to reading about this in your separate post.